Now we'd been trying to record this recently but diaries hadn't synced and if you get a chance to record with Mark you take it. However, the Gods were against us everytime I hit record on my rig at FOSDEM. We were given what I can only describe as a bunker to record in, a room with no windows, with broken furniture, geriatric Red Cross volunteers positioned there to deal with dehydrated and broken geeks who had over done the Belgian beer intake the night before. They didn't respect we were recording and we had to cope with foil wrapped geeks, in fact the last podcast I managed to record was interupted by a very sick and ill Python developer being vocal into a bucket six feet from where I was recording. Not ideal. Next year I hope they can cater for us a LOT better. Seriously less than impressed. The recording we did with Mark I knew from the minute I pressed record was going to be testing. I've tried to clean it up digitally to get rid of first aid traffic noise and echo and am still not happy with the quality by any degree. However Mark and I wanted to get it out to you and the consensus is that it's good to go. Posted in Cloud Software, IaaS, PaaS. Tags: cloud, fosdem, Mark McLoughlin, OpenStack, red hat on February 28, 2013 by dickmorrell. Bryan Che who leads the technology team in the Cloud BU at Red Hat recorded a great podcast talking ManageIQ in the same vein that I did with John Hardy earlier in the year. Appearing on the DABCC show, the first in a series of podcasts with some of our technology team across the entire stack Bryan talks about why we acquired ManageIQ and what this means from a practical application perspective. Posted in News, Podcast. 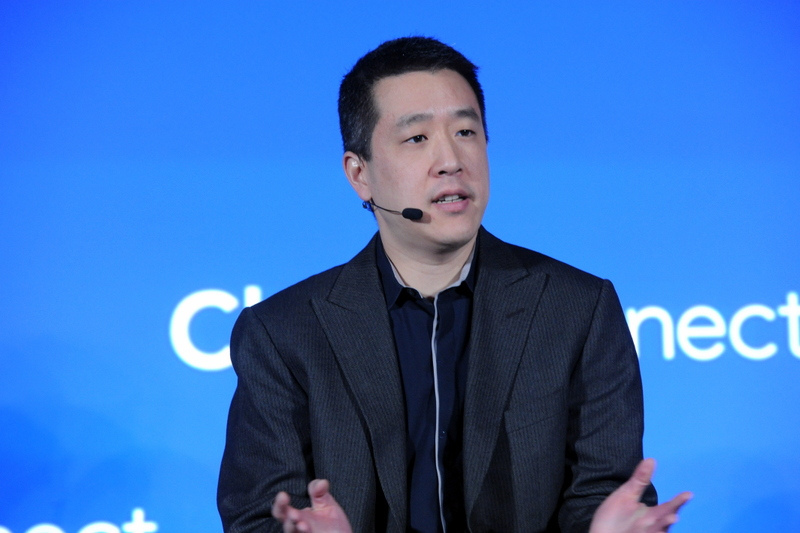 Tags: Bryan Che, DABCC, ManageIQ, podcast, red hat on February 28, 2013 by dickmorrell. Sat on my desk in front of me delivered earlier this week from Amazon's online ordering (and printing platform) is Gordon Haff's new book Computing Next which was published last week globally. Gordon is my opposite number in the US at Red Hat and we recently spent time together in London and in Belgium and I always enjoy his company both as a friend and as a technologist with a grasp of the drivers of modern computing consumption. A talented writer, podcaster and analyst he has delivered a thought provoking publication that should be on the radar of every manager involved with the acquisition or provisioning of virtualisation and cloud. Especially where that involves any degree of outsourcing. It features a lot of context editorial designed to start conversations and cleverly dovetails in thought provoking interviews with industry leaders and those involved in Cloud Computing (theres a three page reproduced interview with me in there as well). Gordon has put together a video piece talking about the book which you can see, also I like the fact that Gordon categorically proves here that Steve Jobs isn't the only techical guru who can carry off a polo neck. I have personally bought a number of these out my own pocket and will be giving one away in an upcoming podcast in a competition so watch out for that. Available now in print format from Amazon.com and Amazon regionally, as well as in eBook format for Kindle it's well worth reading and compared to a lot of the other cloud books I've purchased and read cover to cover it actually delivers to the layman. Posted in News. Tags: Amazon. Kindle, Book, cloud, Computing Next, Gordon Haff on February 28, 2013 by dickmorrell.